This week will be one where you will feel dissolved in an admixture of despair and delight. Mars has begun its retrograde motion in Sagittarius, Pluto begins its retrograde in Capricorn, and over the weekend there will be a Full Moon in the intensely devouring sign of Scorpio (traditionally ruled by Mars and Pluto). Suffice it to say that this week will be an interesting juxtaposition between springtime’s rejuvenating spirit contrasted against much darker revelations about where your world suffers from moral and spiritual decay. Despair, when felt in the dead of winter is certainly dreadful, but when despair is felt in spring there is something emotionally irreconcilable about it. There is no better poem to describe the mix of feelings created by the retrograde motions of the planets during this bright blossoming season as T.S. 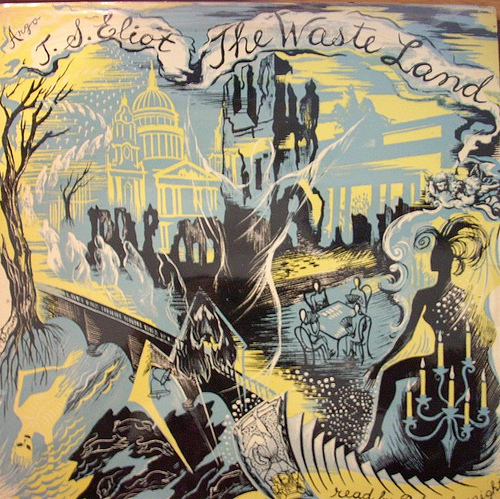 Eliot’s The Wasteland, widely considered to be one of the greatest epics of modernist poetry. 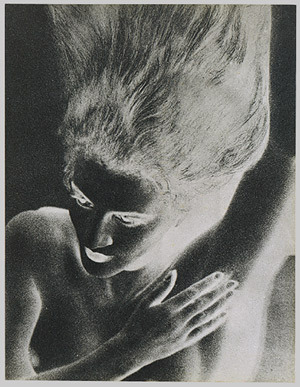 The first lines, “April is the cruellest month, breeding Lilacs out of the dead land, mixing Memory and desire…”, bemoan the tragedy of having lost the connection to the spirit of prima vera and of Chaucer’s “sweet showers”. Rather than feeling filled to the brim with the joy of rebirth and revivification, Eliot grimly faces all the death that came before…the decay which has fertilized the soil. In The Wasteland, Eliot describes an experience of spring where every flower represents a fragment of a lost world…dead friends, lost tradition and a language ground into mulch. He longs instead for winter, where at least the cold hard earth will numb his memories and stop his confrontations with all that he has lost. What caused T.S. Eliot this intense despair? In general terms, The Wasteland, describes the agony experienced in the wake of destruction left by WWI, where lost souls like Eliot had nothing but a decadent industrialized society to find solace in. He was a born poet and yet in this infertile world, (a wasteland) he describes his imagination as “a heap of broken images”, giving you the impression that he feels his modernist poetry is only the shattered remnant of the great tradition of poetry from the past. Despite the bitterness and pain that Eliot evokes, this poem is true poetry because of its innate quality of resourcefulness in expressing subtle emotional experiences. It is bleak and it is grim, but Eliot faces the end of the world with courage and uses what voices and symbols and sounds are at his disposal. It is true that the poet of his time could no longer linger on the whispering winds or the rosy-fingered dawn, but his genius was to accept this and treat the cacophony of ideas, cultures, and crises as his Muse. In this act of writing The Wasteland (from an asylum, no less) Eliot began to cultivate the rebirth of an authentic poetic voice to herald the rebirth of life. With Mars having gone retrograde in Sagittarius, there may be a feeling of needing to go back to reclaim values and morals that were once important to you in the past. The tragedy that may arise is when you find your old values no longer viable for the world you currently live in. On Monday, as Pluto begins its retrograde in Capricorn, it is likely that there will be no dramatic shifts in your personal life right away. However, this retrograde is a five-month cycle of deep regeneration in areas of life that have been stalled by distractions. With both Mars and Pluto retrograde at the same time, there will be a burial of the dead in terms of old ideas about yourself and your purpose in this life. This is in fact the process of regeneration and renewal so well understood in springtime as the fragrant blossoming of the natural environment. But emotionally you may find the same melancholy as Eliot does in The Wasteland as you meander through memories. Feelings of loss and feelings of regret will wash over you as surely as feelings of mirth and unconditional affection. Find the courage to face the end of an era, knowing that the next one will contain enough pleasure to continue making beautiful memories. As April showers bring May flowers, so too does inner evolution bring ecstatic experience. On Tuesday, the Sun will move into Taurus which will lend more stability and gravity to whatever difficult emotional processing is initiating. Taurean graces include sensual pleasures and slowing down the pace of life to relish and savor those pleasures. Therefore, considering that Saturn, Mars, and Pluto are in retrograde (and that Mercury will be in retrograde next week) begin to acknowledge the very real virtues of patience, accepting delays and slowness as opportunities for much more thorough and deliberate actions. With Mars in retrograde, it is the common advice of astrology to avoid instigating confrontation. Fortunately, with the Sun in Taurus, you may find it possible to actually count to ten before you launch into verbal attacks or reactionary responses. And remember, nobody has ever been converted to another political or religious ideology by engaging in an internet debate, so at least for an extended period of time, lay down your righteous anger and focus on something more constructive. The middle of the week will feel like a nice interlude of peace and quiet after a torrential rain. On Thursday, Mercury in Taurus will be trined the North Node in Virgo, giving your thoughts a fertile rush of direction and focus. With an Earth sign Mercury in such a supportive aspect with the earth sign North Node, a sense of confident purpose will begin to germinate underneath all your formerly haphazard fragmented ideas. Your intuitions at this time are good and without a suffocating sense of urgency, your current goals and dreams will be greatly supported in coming to fruition. Friday/Saturday/Sunday: What Branches Grow Out of This Stony Rubbish? The Full Moon in Scorpio will occur on Friday, April 22nd and since there are no particularly important aspects, this Moon will act as a force of purgation relating back to the planetary rulers of Scorpio: Mars and Pluto. The Moon is in its fall in Scorpio, so this lunar energy is not soft and dreamy, but is instead piqued by desire, hunger and even the adrenaline rush of fear. In dialogue with its planetary rulers, both in retrograde, this Full Moon in Scorpio will be very much concerned with revealing to you the anguish of realizing that the decadent culture you were born into is indeed a Wasteland, and that the gap between your ideals and reality has never been wider. This Scorpio Moon is haunting and desecrating. But not to worry. This is your opportunity to do as T.S. Eliot once did, and face the hungry ghosts and haunted memories with enough faith to summon your creativity, to find the life within the dead soil, and to grow from the “stony rubbish”. A dramatic description of the psychic turmoil to be expected on a Full Moon night is meant to inspire you to find that instinctual spirit of survival deep within. That is what Scorpio is really trying to get at. Scorpio goads you into dark places and intense emotional scenarios to help you find your primal instincts… Scorpio delights in the sight of weeds breaking through concrete. On this same day, you may be sure that you will find the fighting spirit of liberation from fear because Venus (dressed as a warrior princess in the sign of Aries) will form a conjunction with Uranus! This conjunction will make you unwilling to be suffocated by other people’s unkindness, will enable you to cut your way through overgrown prejudices, and will offer you enough electrifying spirit to remain in love with the joy of spring no matter how dark the process of rebirth is revealed to be.